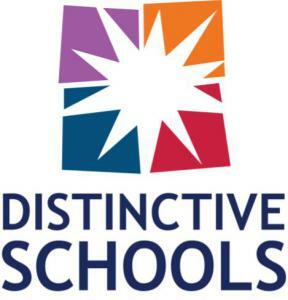 CHICAGO, ILLINOIS, UNITED STATES, July 11, 2018 /EINPresswire.com/ -- Distinctive Schools today announced an evolution to its executive leadership team structure, aimed to better address the needs of Distinctive Schools and the staff, students, and families they serve. The additions to the executive leadership team include the appointment of Brianna Terrell as Chief Strategy Officer and Erin Lanoue as Chief Operations Officer. Terrell and Lanoue will join the executive leadership team, working closely with Scott Frauenheim, President, and Dr. Jennifer Ferrari, Vice President and Chief Schools Officer. “Both Brianna and Erin bring a wealth of talent and invaluable perspective to our work, and their unique expertise will strengthen our collective efforts to offer high-quality public education opportunities for our students.” said Dr. Ferrari. Terrell previously served as Network Chief of Staff for the past year. In her new role, she will be responsible for overseeing Distinctive Schools’ partnerships, development, school growth, and strategic initiatives. In bringing these components together, Distinctive Schools sees the opportunity to share best practices and leverage skills across the organization. With experience as a management consultant at Deloitte and an Education Pioneers fellow, Terrell brings a new perspective to Distinctive Schools through valuable resources and best practices in organizational development and planning. Newly appointed Chief Operations Officer, Erin Lanoue brings operational and charter school expertise to the executive leadership team. She will assume responsibility for operations, talent, finance, and marketing at Distinctive Schools, as well as be responsible for the alignment and prioritization of these teams to the schools to ensure operational excellence across the organization. Lanoue is a seasoned and trusted leader who continuously delivers results. Prior to this appointment, she successfully led operations for Charter Schools USA and served in leadership roles with Chicago International Charter School for over ten years. She has overseen effective growth of school sites, as well as improved administrative and school procedures and strategic planning. “Distinctive Schools will benefit greatly. We are excited to appoint a highly respected charter leader like Erin as COO, and be able to leverage her tremendous experience in education.” said Dr. Wise. To learn more about Distinctive Schools, visit www.distinctiveschools.org. Distinctive Schools is 501(c) non-profit organization dedicated to supporting and accelerating the work of charter schools serving kids from traditionally underserved backgrounds. Distinctive Schools’ mission is to serve children and families in urban communities. It provides intensive supports that accelerate achievement, performance, and college-preparedness.